If you do not want to use a review template anymore and would like to move it out of the "Active" state, you can "Archive" it! Archived templates can be restored at anytime, if you decide you want to use it in a future review cycle. Step 4: To the right of the desired template, click on the ellipsis. 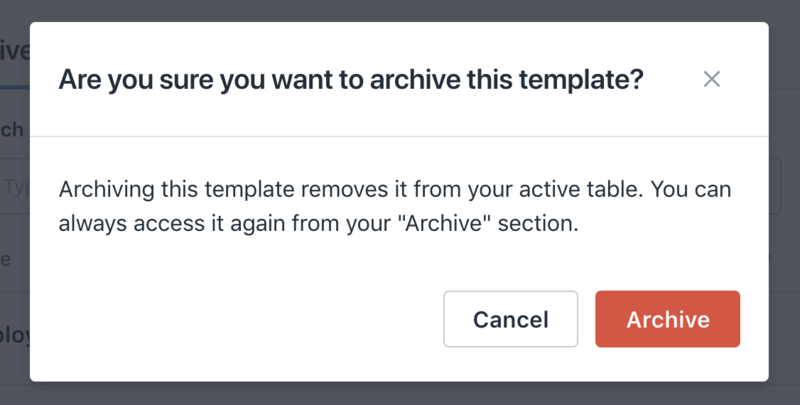 Step 5: From the dropdown, click "Archive"
All archived templates can be found anytime under Templates by clicking on the "Archived" tab next to "Active."